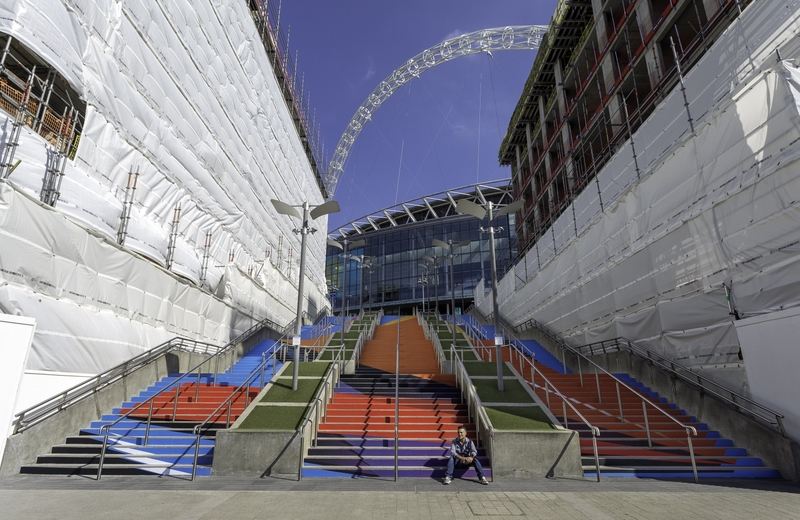 Wembley Park has briefed Produce UK to install a new art installation on the iconic Spanish Steps in Wembley Park, linking up Wembley Stadium and the SSE Arena, Wembley. Artist Remi Rough was commissioned by Produce UK to collaborate on an unique mural, which will be in place until the end of September and is called ‘Flight’. 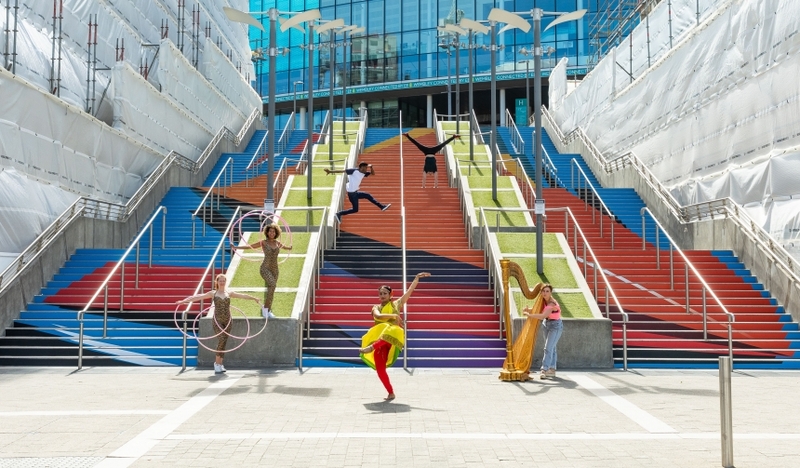 ‘Flight’ was unveiled to mark the start of Summer of Play, Wembley Park’s first curated season of cultural activities that invite visitors and residents to enjoy the transformed neighbourhood over the summer months, with over 300 hours of free arts and entertainment. Summer of Play adds to the headline music and sporting events for which the area is internationally known, and forms part of an ambitious multi-year cultural strategy for Wembley Park as it rapidly evolves into one of London’s newest cultural neighbourhoods and destinations.